The world of mobile technology is upgrading each day. Every month, we are listening to announcement of new Smartphone with latest features in the market. The best criteria for purchasing a Smartphone is to first fix a price band and then search for the features and technology to maintain the balance of both world. Best smartphones under Rs. 15000, which are available in the month of June 2015 is what, I am planning to cover today. I purchased my Experia C at the rate of 21,000, today it’s rate is 13,000 in the market. So every month, there is something new in the market. Let us have a look for the smartphones that are under 15000 Rs in India for the month, June, 2015. Nokia Lumia 730 is a windows phone with 8.1 OS, perfect for official work and with high end camera quality. The camera quality is so sharp that words fall short to appreciate it with my personal experience. Primary camera is 6.7 MP and secondary is 5 MP, but Lumia series provides much sharper picture quality with same MP in its range with a digital zoom of up to 4x. The only drawback I find with Lumia series is the screen size, which can be just 5 inch, but they have provided with 4.7 inch touch screen. 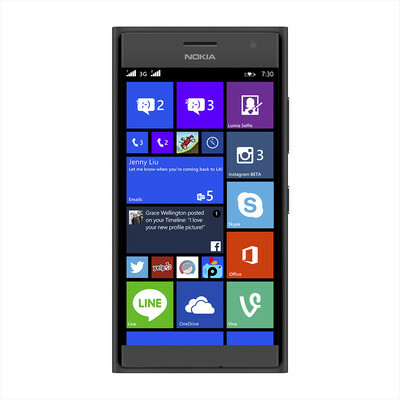 Nokia Lumia is a dual SIM phone with 1.2 GHz Snapdragon 400 Quad Core processor. It has expandable memory up to 128 GB. In my opinion, if you are not so screen conscious, then this is the best smartphones under Rs. 15000. Lumia can be the best selfie phone too at the rate of 14,000 in the month of June. HTC is now a brand in the world of mobile phones. 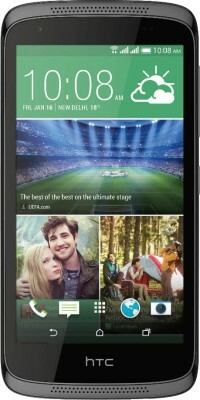 HTC Desire 526G plus is an Android V4.4 kitkat Smartphone with 1.7 GHz octa core processor. Once again the major thing, that puts me down is the screen size under 5 inch, though screen size more than 5 inch is sometimes difficult to hold, but for using various functions screen size above 5 inch is what I find comfortable. 2 MP front camera and 8 MP rear camera with smile detection, face detection HDR and video streaming function. It has a multi touch TFT LCD touch screen. 16GB internal memory with 32 GB expandable slot, it has a battery life of 9 hrs talk time and 280 hrs stand by time. As I mentioned, I am personally using Sony Experia C and it is one of its class experience to use an Experia phone with high end range. Now the same 21,000 smartphone is available at 13000 Rs in Indian markets, so it is just a go grab it condition with endless features. This super fast smartphone is Android Jelly Bean technology with 1.2 GHz quad core processor. Though initially, I was not happy with the camera quality, but after upgrading the software, I am finding state of class camera experience with EXMOR technology with 8 MP rear camera and 0.3 MP front camera. 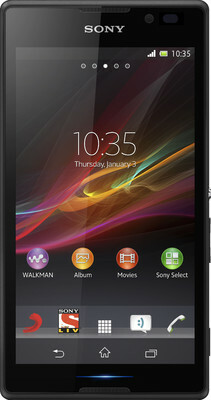 Sony Experia C is equipped with WiFi and FM with USB connectors. It is available in 3 color variants. It has expandable storage up to 32 GB. The best part is, it is 5 inch TFT capacitive touch screen, which makes my internet accessing experience, a pleasure. Sony has presently launched its Experia C4 mobile with 5 MP Front camera, specially for selfie. It is considered as best selfie phone in the market because of the camera technology. Samsung Galaxy Grand is loaded with all the necessary features such as Android V4.3 Jelly Bean, 1.2 GHz snapdragon Quad core processor. It is a dual SIM phone with an expandable memory of up to 64 GB. 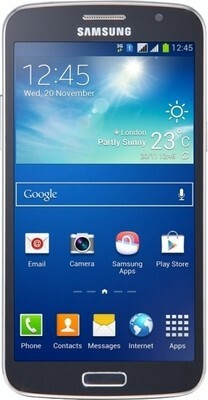 Galaxy Grand is WiFi enabled, 5.25 touch screen and makes it stand out with 8 MP rear camera and 1.9 MP front camera. Samsung camera quality has always been good. Xiaomi is the new heart throb in the town among the newly launched smartphones available at the rates under 15000 in the month of June, 2015. If you are searching for a new launch smartphone under 15000 or 10000 then this is the best option with very good camera quality and looks. It is good to hold in hand with its rounded edges. 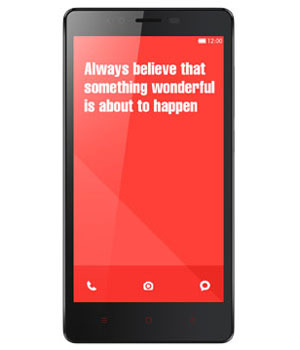 Redmi also comes with a 4G support and specially built for the people, who are not too techno savvy. It is build with MIUI interface. A good deal at 10,000 rs in newly launched smartphones range for June, 2015. Among all this Yu Yureka, Panasonic are also knocking the doors of Indian markets with their competitive price ranges, which are going to make mobile for all at all ranges. Asus, Moto G have also started capturing markets at competitive prices and now big brands have to think or stay as brands for the rich and class people. Apple iPhone 4S is now available at the price range of 15000 Rs. This phone comes with an 8 MP camera and full HD recording facility. 8.89 cm touch screen and many more Apple specifications. The cons with Apple phones is every feature of the iPhone becomes Apple specific and as per the complains buyers of the phones need to buy caller tunes, ring tones or download anything from Apply store or itunes. More is to be explored on this. We have provided with the Best smartphones under Rs. 15000 with selfie special to high range processor or the one in the newly launched smartphone under 15000 Rs range to the best smartphones with screen size more than 5 inch and below 15000 rs. You can select the best needed as per your requirement.